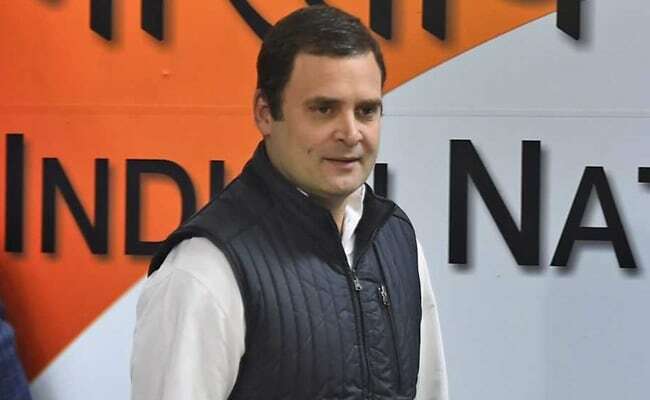 New Delhi: Congress president Rahul Gandhi has asked party leaders from poll-bound Karnataka to prepare "people's manifesto" and undertake mass outreach programmes, taking a cue from similar exercise during the party's recent electoral outing in Gujarat. Karnataka goes to polls this year. "The exercise has already been undertaken by a team headed by senior Congress leader Veerappa Moily and it is expected to come out with an 'all-encompassing manifesto' much ahead of polling in the state," a senior party leader said. "The party president has asked leaders to come out with a manifesto that truly reflects the expectations of the people of Karnataka. The Congress will seek feedback from all stakeholders," AICC secretary in-charge for Karnataka, Madhu Goud Yaskhi, told PTI. In a similar exercise, telecom entrepreneur Sam Pitroda had interacted with residents of five cities of Gujarat, namely Vadodara, Ahmedabad, Rajkot, Jamnagar and Surat, ahead of the two-phased assembly elections there last year. The manifesto prepared thus focused on education, health, small and medium enterprises, employment generation and environment protection. "That 'good' practice helped us know what people wanted. It is better than leaders sitting in their offices and drafting manifestoes," another party leader said. He said in Karnataka, the party unit will focus on socio-economic aspects relating to development. The Siddaramaiah-led Karnataka government has performed well and listed its pro-people schemes like Ksheer Bhagya, Anna Bhagya, Krishi Bhagya, Indira Vastra Bhagya, Indira Canteen and others, the Congress leader said. While the schedule for the 224-member state assembly poll is yet to be announced, campaign for the high voltage election has already begun with leaders of both the Congress and BJP exchanging barbs at each other. The southern state is expected to witness a triangular contest with the HD Deve Gowda-led Janata Dal (Secular) being the third dominant player.